Product code: ES7841 Categories: Sold Items, Sold Rings. 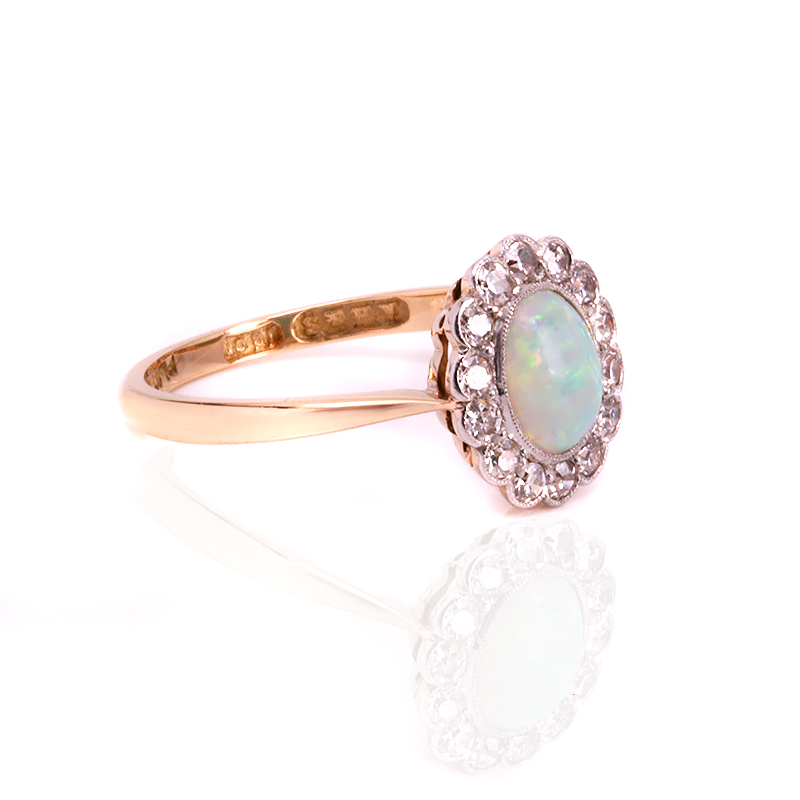 Here is such a beautiful hand made 18ct gold and platinum Art Deco opal ring surrounded by diamonds that sits so well on the finger and has such an elegant look to it that will no doubt always be admired every time that it is worn. The solid Australian white opal that sits proudly in the centre measures 0.60 carats and has a wonderful blue-green body colour with red flashes that come out as the ring is rotated in the light. With the bezel setting on the opal having the elegant millgrain finish which was typical of the era, this millgrain work can be seen as the elegant crimping along the edge. Surrounded by fourteen single cut diamonds that total 0.21 carats, the diamonds highlight the opal perfectly as well as having a wonderful sparkle to to add to the ring. Measuring 11.5mm by 10.4mm wide, the proportions of this ring are perfect to wear all the time. 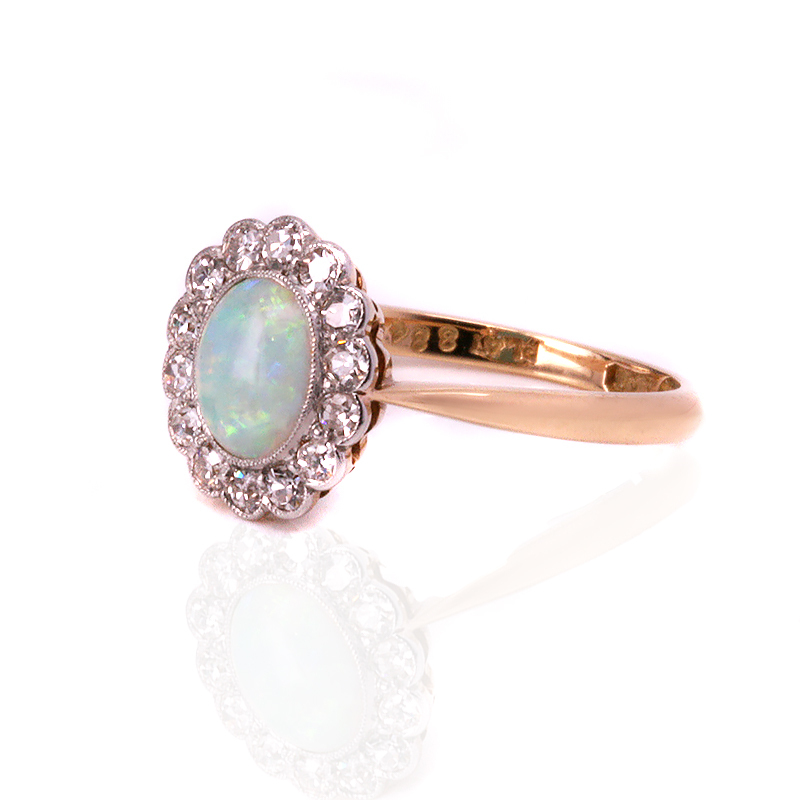 Art Deco rings are quite often so elegant, and this Art Deco opal and diamond ring truly exemplifies this. Tag: Art Deco opal ring and diamond ring. 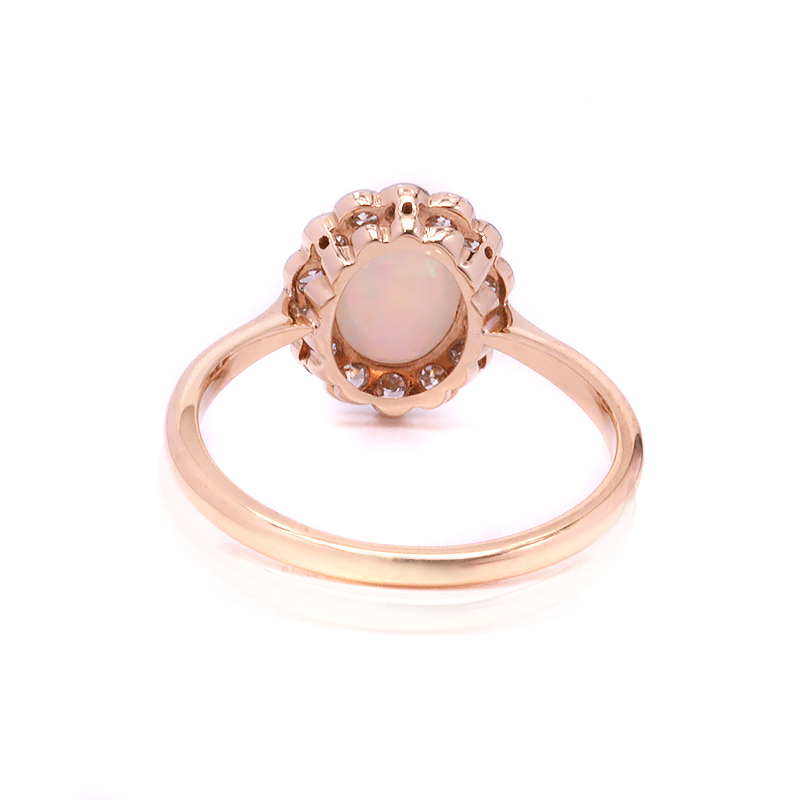 Set with a solid Australian opal, this Art Deco ring is set with diamonds.